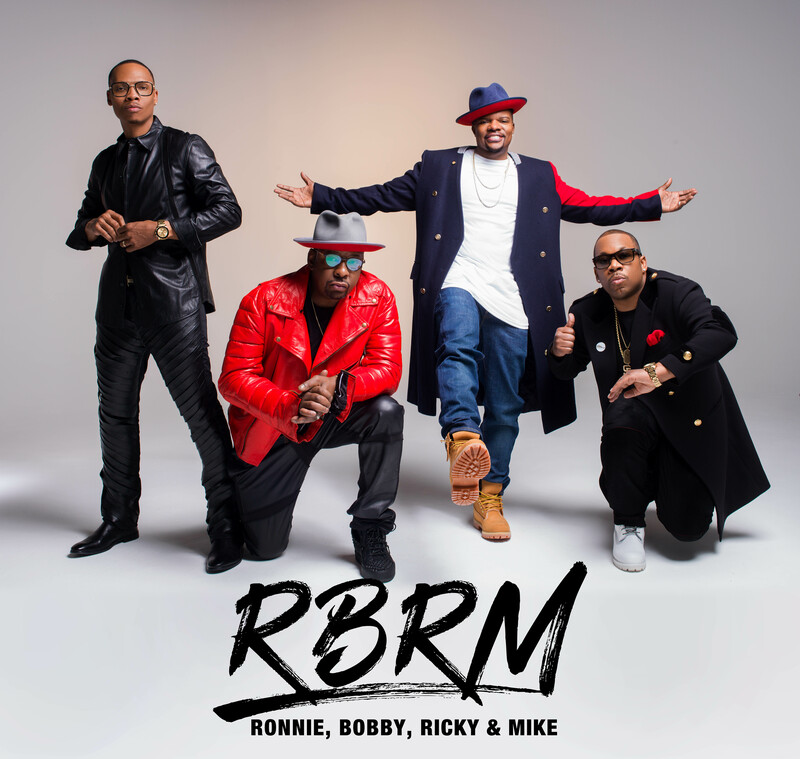 Ronnie, Bobby, Ricky & Mike now known as “RBRM,” have joined forces to combine their extensive catalogue of high energy mega-hits and dynamic stage presence to embark on a World Tour in the fall of 2018 and coming to Citizens Business Bank Arena Thursday, September 6, 2018 presented by San Manuel Casino. Chart topping smash hit records like “My Prerogative”, “Every Little Step”, “Rock Wit’cha”, “Roni”, [Brown] “Poison”, “Do Me”, “Thought It Was Me” and “Smile Again” [BBD] are timeless tracks that have stood the test of more than Twenty-Five Years and continues to audibly paint the soundtrack of Millions of lives around the globe. As Producers of the mega-successful “New Edition Story“ a three night mini- series which premiered on the BET/Viacom Networks to a record breaking 29 Million viewers and was Social Media’s #1 trending topic for all three nights, the saga continues this September with the highly anticipated "The Bobby Brown Story" which will also premiere on the BET/Viacom Network. Digital Downloading and Social Media has revolutionized the music business and RBRM is yet another industry evolution for the masses. With more than 35 years of entertainment experience, Ronnie, Bobby, Ricky & Mike are four childhood friends from Boston, Massachusetts with multiple accolades, and countless sold out concerts, and but for the love of their millions of die-hard fans around the world RBRM is eager and excited to hit the road to introduce a brand-new version of themselves while giving back to their fans a taste of the unconditional love they’ve given them for years. Tickets go on sale to the general public on Wednesday, June 6, 2018 at 10am at the Arena box office and ticketmaster.com. Citizens Business Bank Arena, built and owned by the City of Ontario, managed by SMG, includes 9,500 fixed seats with additional “portable” seating risers to accommodate capacities of 11,089 for concerts, 9,736 for ice hockey or arena football and 10,832 for basketball. The 225,000 square foot venue features 36 luxury suites located on two levels and a continuous concourse hosting a variety of refreshment stands, merchandise kiosks, a VIP club and other fan amenities. Citizens Business Bank Arena hosts ice hockey, soccer, and a variety of other sporting competitions, concerts, family shows, special events, conventions, school and community activities as well as private events. The Arena is home to Ontario Reign, an AHL Hockey Team, and Ontario Fury, a MASL Soccer Team. Citizens Business Bank Arena is the biggest and most modern arena within the Inland Empire, an area with over 4.2 million people. It is located in the City of Ontario, California, on a 37-acre parcel located between Haven Avenue and Milliken Avenue, Fourth Street and the I-10 Freeway. For more information visit CBBankArena.com.